The availability of cloud service proves useful to anyone who uses the Internet. If at any point you find yourself needing to store data, cloud service is a great way to go about it. With a cloud service, you can access your data from anywhere and from any device. Of course, that doesn’t sound very secure, but with the right cloud service provider, you can keep your data safe. OneDrive is the name of the cloud service officially provided by Microsoft. Just like any other popular cloud service, OneDrive gives you the ability to store your data on a cloud server and exchange it with others using secure access. The information you store on the cloud can be made accessible to others by you with certain permissions granted. If you are new to OneDrive, or cloud services in general, the whole thing can seem a bit confusing. Understanding exactly what OneDrive is, what it does, and how it can help you will help you figure out if it is worth it. To understand what OneDrive is, you need to understand the services it provides. If you own a Windows 10 laptop or computer, you will be able to locate Personal OneDrive. Simply log in with your Microsoft Account, and you will be all set to start using your Personal OneDrive service. File Explorer can reveal to you the location of your storage file, which makes it easy to upload data for cloud storage. When you first opt to save a file, Windows 10 will attempt to default to OneDrive. Previously, saved files would default to a location on your hard drive. Microsoft opted to push OneDrive as the default save location on Windows 10 devices for many reasons. For starters, it makes your files easily accessible from any location. Also, it helps free up space on your hard drive. Like many other cloud services, you receive a certain amount of free storage space with OneDrive. Currently, OneDrive offers 5 GB of free space with the option to pay for more storage. If, however, you have an Office 365 subscription, you will receive 1 TB of storage space. An Office 365 subscription costs approximately $10 a month, which makes it an attractive option for many. A smaller amount of storage space could work well for personal users. However, business users might want to consider upgrading. OneDrive for Business provides employees a unique and easy way to share documents, keep track of business-related projects, and collaborate with one another online using secured access to important data and files. OneDrive can benefit almost anyone. For instance, if you are a business owner, you can use OneDrive to help your team collaborate on projects. You can also share important files with employees. Team collaboration is often an important factor for any business. OneDrive is so simple and intuitive to use that it makes collaboration a quick and simple process. 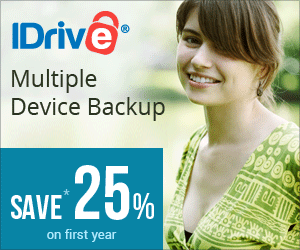 Individuals will also find OneDrive beneficial. With cloud saving, you can easily save space on your hard drive, which makes it great for anyone. Students will also enjoy the use of OneDrive. Say, for instance, you are working on a paper. You can save your paper to the cloud and access it from any device, making it easy to keep up with edits no matter your location. There is no need to drag your laptop with you or move your desktop to a new location. Instead, you can log in to your OneDrive account from any device and continue where you left off on your document. When you are finished, you can easily share your paper with your teacher or college professor by providing the link to your OneDrive file. OneDrive is also great for picture storage. If you are a photographer, a hobbyist, or someone who simply has a lot of pictures to save, you will find OneDrive extremely beneficial. It is often said that a picture is worth a thousand words. Pictures are captured moments or memories that you wish to save. Should you happen to lose pictures stored on your device, they are often irretrievable. In many instances, pictures are irreplaceable, so if you lose them, it might be upsetting. Fortunately, you can ensure that they remain safe and accessible in the cloud. Open your pictures from any device, edit them, view them, and share them with others. If you are a photographer, you can ensure the safety of client photos thanks to OneDrive. OneDrive is one of the simplest cloud services there is for you to use. Logging in is rather straightforward. Once logged in, you will have access to your documents, photos, and other files. OneDrive syncs across multiple devices, too. For instance, if you upload a document from your desktop, you can immediately view it from another device once you log in to OneDrive. The sync feature also keeps tracks of edits you make to documents thanks to an autosave feature. When you work within Microsoft Office, the autosave feature ensures that your changes appear within OneDrive immediately. Never worry about losing your changes ever again thanks to autosave and auto-sync. You can download your files from OneDrive directly onto your device, too. As if that isn’t handy enough, take into consideration that you can access files on a computer that aren’t yet uploaded to OneDrive. OneDrive can access system files for devices that you have connected to the cloud storage service. In other words, if you typed up a document on your desktop and forgot to send it to OneDrive, you can direct the program to search your desktop files, grab the document, and open it on another device. Keep in mind that the ability to access documents not uploaded in OneDrive is only accessible on systems using Windows 7 and 8, but not 8.1. Therefore, you may run into retrieving issues if you are on an older operating system or an operating system that uses 8.1. It is better to stick with Windows 7 or Windows 8 when using this specific feature of OneDrive. There are several other beneficial features of OneDrive, some that many people don’t know exist. For instance, the tool makes it easy for you to place material on a website. OneDrive will generate a code that allows you to embed files and images directly into your website. If you are not familiar with coding, it can be a useful tool that makes it easy for you to add content to your website. For instance, if you are running a blog and you have a photo that you would like to embed in the blog, OneDrive will generate the proper HTML code for you. You can update the look of your blog with visually appealing photos that make your content look professional all thanks to OneDrive. Another feature that is great but often goes unnoticed is a rollback feature. Rollback is a great feature for anyone who wishes to revert a document to a prior state. For instance, if you upload a document onto OneDrive and then make changes you don’t like, you can roll it back to the previous version before you implemented the changes. Just like your computer, OneDrive features a recycle bin. When you delete something from OneDrive, it goes into the recycle bin. In other words, you are not protected against accidental deletions. If you delete something by accident, simply go into the recycle bin and retrieve it. Accidental deletions can happen to anyone, and the recycle bin feature ensures that you meant to delete a file rather than doing it accidentally. OneDrive offers free storage space to all new users. Therefore, you can gain access to an incredible cloud service for free. However, you might find yourself in need of additional storage space, particularly if you are someone who frequently needs to share files with others or use cloud storage often. There are packages to suit the needs of anyone and everyone who might find OneDrive beneficial. Upgrading for more storage space is easy and affordable, too. All of the features sound great as does the benefits of OneDrive, but what about the experience? What is it like to dive in and use OneDrive? Fortunately, testing OneDrive proved easy and simple, just as promised. It offers a simple drag and drop feature, which makes it easy for you to upload your important files to the cloud. There is not clicking around, trying to find the proper setting. It is fast, simple, and intuitive. OneDrive has an app for nearly every device, too. Just because it is a Microsoft application doesn’t mean you can only access it from a Windows PC or laptop. You can install the OneDrive app on your Mac, Android device, or iOS device. In other words, you can access your files on any device you wish. To make matters even more convenient, you can access a setting that lets OneDrive automatically save pictures from your Android or iPhone. The app stitches together your pictures like a convenient camera roll, meaning you never have to worry about losing a picture ever again. It is not uncommon for a phone to drop, break, and quit working. Maybe a phone is just an older model and decides it no longer wants to turn on. There are plenty of phones that end up having SD card issues. SD card issues make it near impossible for you to access photos you took on your device. Fortunately, you can rest easy knowing that OneDrive accessed your photos automatically and saved them for you. Folder syncing was perhaps one of the most useful features when using OneDrive. A file created in the OneDrive folder on a desktop automatically updated in the OneDrive folder on a laptop. It works the same with any device that has a OneDrive folder synced to your account. The documents found in those folders sync automatically. There is no need for you to go from system to system trying to do it manually. The experience of using OneDrive was even better thanks to the service’s broad range of file support. OneDrive supports a wealth of common file types, which makes it a great service to use for varying needs. You can use it to upload and download documents, music files, photos, and videos. If you rely heavily on having a digital life, OneDrive just might be the solution you need. OneDrive works like a dream on most systems, though there have been a couple of hiccups on Windows 10 when it comes to file-syncing. However, many people do not find the issues to be a deal-breaker, especially considering all the benefits they receive from using the cloud-based service. Another issue that some users run into is that there are not a ton of additional storage space options. However, the options that are available are quite generous. You can get quite a bit of additional storage for a relatively great low price. For under $2, you can add 50 GB of space, and for many, that kind of a deal seems unbeatable. Therefore, the lack of options is also not a deal-breaker. Finally, the last issue often brought up by some customers is the lack of encryption. Business owners are the only ones who receive encryption protection on the files they upload to OneDrive. The lack of encryption may make some feel a little squeamish, but it seems that OneDrive is overall a very safe application to use. Each of the issues is not even really a problem considering that they do not hurt or harm the user’s experience. If anything, they might be seen as minor nuisances that the user should be aware of before investing in OneDrive. Like any other cloud service, OneDrive is not a flawless cloud storage system. However, the downsides associated with it are few and far between. Also, any downsides do not seem to outweigh the benefits. The benefits are so profound that it makes the service a worthwhile investment. There is a reason that OneDrive has been a big name in the cloud service industry for years. The service has long provided an incredible storage option with additional features and benefits for several users. Formerly known as SkyDrive, OneDrive is often considered a chief rival to similar cloud storage services, such as Dropbox. OneDrive formally launched in 2007, but over the years, the company proves that it is willing to add features and update their service to match trends in changing digital technologies. In the past, other cloud storage services have folded under, such as hubiC. Unfortunately, a folding cloud storage service leaves many users in a pickle. Thankfully, it looks like OneDrive is here for the long haul. The company seems to be doing rather well with plenty of happy subscribers. It is not hard to see why so many people would choose to use the OneDrive service, either. The user experience is quick, simple, and efficient. The additional features and benefits also make it worthwhile. Although it would be nice to see some additional storage options, overall, the available options are great. The current storage space upgrades offer a decent amount of space at a price that targets the budget-friendly digital user. The fact that OneDrive is willing to provide additional storage space without breaking the bank is something many users appreciate. The best deal seems to be the combination of OneDrive and Office 365, which gives users access to 1 TB of storage space for less than $7 a month. In other words, you can access one of the most powerful document creators along with a fantastic cloud storage service, both of which can sync together. By default, Windows 10 users will find that documents created with Microsoft will automatically save to OneDrive. There is nothing additional you need to do to make your files accessible from other locations outside of ensuring that you log in to OneDrive from the targeted location. Overall, OneDrive is a highly recommended cloud service. The benefits, features, cost, and space work together like a charm to provide a very valuable tool for nearly anyone and everyone. Students, business owners, and individuals alike will sincerely appreciate the powerful and affordable cloud storage service.